Egypt Sojourn is a well planned itinerary that allows you to explore the rich culture and heritage of Egypt. 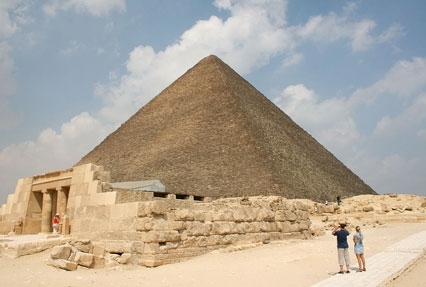 Being on this trip enjoy exploring the great Pyramids of Giza along with the ancient sites of Nile. 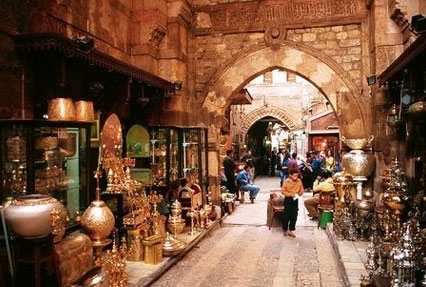 While being in Egypt enjoy shopping at the vibrant bazaar and market places of Cairo. Explore Alexandria, the second largest city of Egypt. Being on this epic adventure tour dig deep to discover the rich culture and heritage of Egypt. 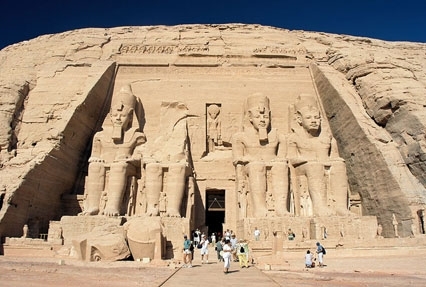 Also enjoy a tourof the Abu Simbel town, a famous UNESCO world heritage site for its beautiful temples. Enjoy the city sights of Aswan one of the most beautiful cities of Egypt. Enjoy an excursion to Abu Simbel and visit the High Dam. Visit the famous temple of Philae. 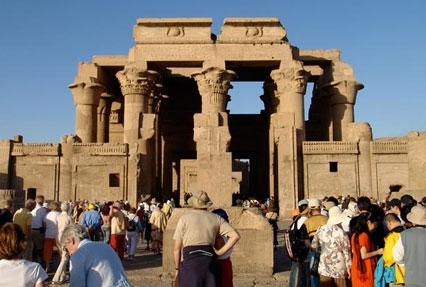 Visit the famous temple of Two Gods at Kom Ombo. See the famous temple of Edfu. Visit the Valley of King, Colossi of Memnon and Temple of Hatshepsut in Luxor. See the Karnak and Luxor temples. On arrival at Alexandria airport, meet our tour manager who escorts you to one of our listed hotels. Check-in at one of our listed hotels to rest and relax in the cozy comfort of its room. Later move out from the hotel room and sit back in the coach for a sightseeing tour of Alexandria city. The prime attractions to visit in Alexandria are Pompey's Pillar, Kon-El-Shokafa and Montazah Gardens. After the visit return to the hotel for dinner and overnight stay. Next morning after breakfast, depart for Cairo. As you reach Cairo, get accommodated at one of our listed hotels. After straightening your backs for a while take a leisurely walk to explore the beautiful city of Cairo. Enjoy a lavish lunch at any Indian restaurant. In the evening, attend an impressive light and sound show. While exploring the city one can get a glimpse of bygone years testifying the power of Egyptian rulers. Later in the evening return to the hotel for dinner and overnight stay. Next morning after breakfast, head to explore the three Pyramids erected by Chepren , Mycerinus and Cheops are situated on the west bank of the Nile on the top of the Giza plateau. 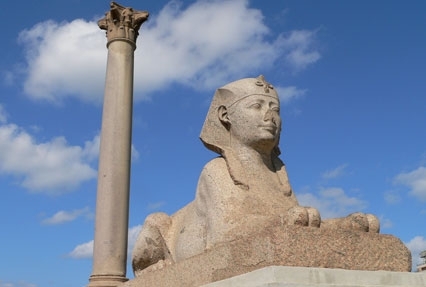 These three Pyramids are guarded by the mysterious Sphinx, a fabled statue featuring human head and a body of a lion. These Sphinx along with the three Pyramids are considered as one of the Seven Wonders of the World. The other prime attractions to visit in Cairo are Cairo tower, Mari Mina church dating back to early 5th century, Blue Mosque having blue mosaic walls. Also pay a visit to the Egyptian Museum that preserves more than 2,50,000 antique pieces displaying the entire history of ancient Egypt that is five thousand years old. The most splendid collection is of the Tut Ankh-Amen. Later in the day visit the Khan-El-Khalili Bazaar and the Al Sagha market place to enjoy shopping of some interesting jewelry pieces along with interesting souvenirs. In the evening return to the hotel for a sumptuous dinner and overnight stay. Today the day is reserved for an excursion to Aswan. In the morning after breakfast, transfer to airport to board a flight to Aswan. It is one of the most beautiful cities of Egypt. As you reach Aswan, drive straight to Abu Simbel town which is famous UNESCO world heritage site. Visit the magnificent temples of Abu Simbel which are dedicated to Ra-Horakhty, Gods Amun and Ptah. Later visit the beautiful temple of Philae dedicated to the Goddess Isis. After the visit to these beautiful temples return to Aswan for a sightseeing tour of the prime attractions like the High Dam, an architectural accomplishment of the twentieth century. Enjoy an overnight cruise over the Nile River to reach Kom Ombo. In the morning enjoy breakfast on the cruise and then proceed to visit the famous 'Temple of Two Gods'. These temples are dedicated to Haroeris and Sobek, the crocodile gods. This magnificent temple was constructed during the Roman era and features beautiful engraving of its walls. After the visit board a ferry to reach Edfu town situated on the banks of Nile River. As you reach Edfu, move out to visit the famous temples of Edfu dedicated to God Horus. This famous temple of Egypt is famous for its splendid structure that blends well with the Greek and Pharoic architecture. Board an Overnight cruise to Luxor and enjoy the sights of the beautiful Nile River from the deck. After feasting on the lavish breakfast on the cruise, proceed to sightseeing tour of Luxor, the city of palaces. Prime tourist attractions to be visited while being in Luxor are the famous Tombs in the Valley of Kings. Also visit the Colossi of Memnon, the funerary tomb of Pharaoh Amenhotep III along with the temple of Queen Hatsheput the only queen that ruled Egypt. A visit to the Karnak and Luxor temples is breathtaking and is not to be missed. In the evening enjoy dinner and overnight stay on the cruise. Today after enjoying a breakfast on the cruise, disembark from the cruise to accommodate at one of our listed hotels. Spend the entire day resting and relaxing at the hotel or in accordance to your convenience. Enjoy lunch at one of the local restaurants after which you may explore this beautiful city on your own. In the evening enjoy dinner and overnight stay at the hotel. Bid adieu to the land of the Pharaohs. In the morning, after breakfast transfer to airport to board a flight for the onward journey.